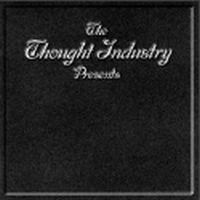 Thought Industry were formed in Kalamazoo, Michigan in 1989 by the four members: Christopher Simmonds (aka Christopher Lee, guitar), Brent Oberlin (vocals, bass), Dustin Donaldson (drums) and and Steve Spaeth (guitar, later left the band due to conflicts). Spaeth was replaced by Paul Enzio for the band's first release in 1992 "Songs For Insects", which was the start of their relationship with their label Metal Blade Records. 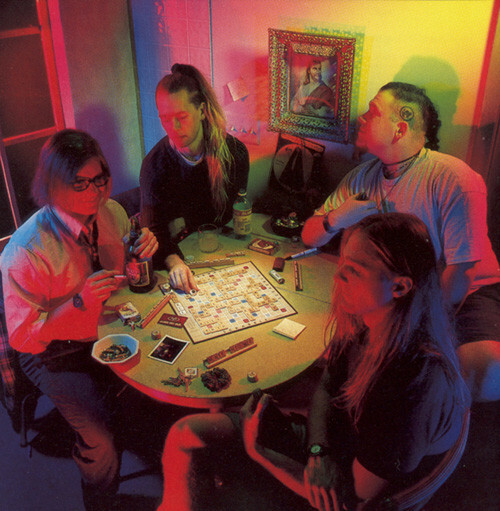 The same lineup persisted for the next album, in 1993 called "Mods Carve The Pig". In 1996 came out "Outer Space Is Just a Martini Away" which marked a change in sound and also in lineup as drummer Dustin Donaldson was replaced by Jared Bryant, Brent Oberlin switched from bass to guitar and Herb Ledbetter joined as bassist. Lineup, style and sound changes continued with the coming releases. With 1997's release, "Black Umbrella", Christopher Simmonds left and the band had gone a different route than their original tracks. In 1998 they released a compilation called "Recruited To Do Good Deeds For The Devil" which featured, live, remixes and unreleased songs. "Short Wave on a Cold Day" came out in 2001 and apart from Brent Oberlin, all lineup had changed: Mike Roche on guitar and bass, Jeff Borkowski on guitars and Cam Taylor on drums. This album is another step away from the metal sound, but not from their quirky side. The band was disbanded in 2002. The best (and main reason to include them here) albums of theirs are the first three albums which are (as can be also seen from the track and album titles) weird, chaotic, complex and constantly changing. Their sound change is actually in line with their tendency to not stagnate and keep progressing with their music to explore new areas. As Brent Oberlin said in an interview: "I don't think any of our albums have ever sounded identical. It was intentional to try not to repeat ourselves. I believe that somebody should shoot me in the back of the head if I ever write a record that sounds like the last one." 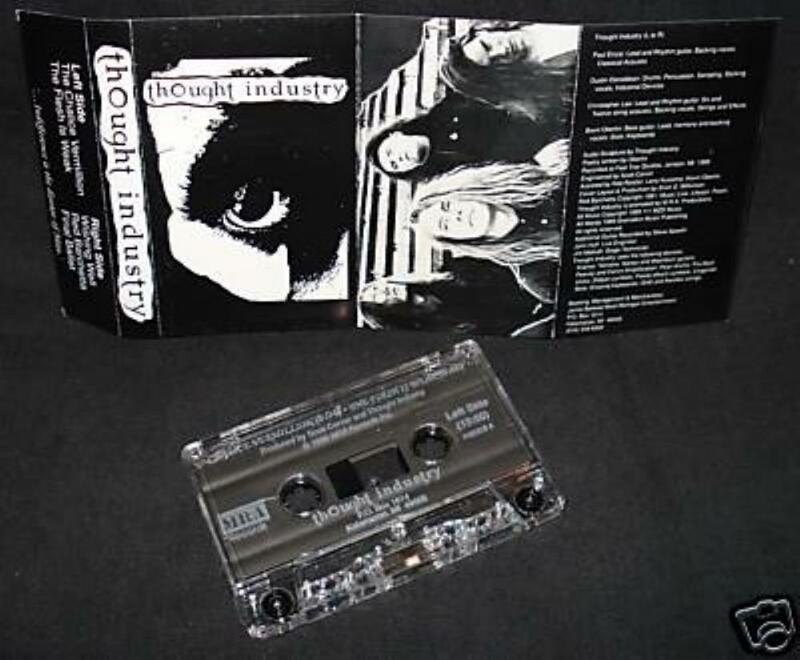 R...Thought Industry were formed in Kalamazoo, Michigan in 1989 by the four members: Christopher Simmonds (aka Christopher Lee, guitar), Brent Oberlin (vocals, bass), Dustin Donaldson (drums) and and Steve Spaeth (guitar, later left the band due to conflicts). 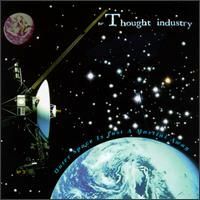 'Songs for Insects' is the debut studio album by avant-garde/thrash metal band Thought Industry. This is one weird band and album, and you may wonder how they got signed to a major label so quickly in their career. Well, Metallica's Jason Newsted brought their demo to the ears of Metal Blade Records and they were signed on. 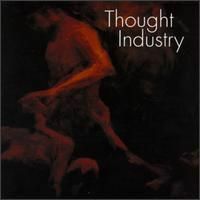 Thought Industry would continue to be pretty damn weird until their fourth release in 1997 when they moved in an alternative rock direction. If you listen to this album once, you most likely won't fully understand it. 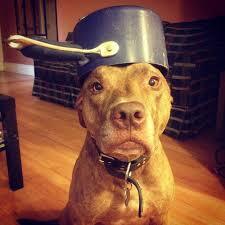 However, the more you listen, the more the pure strangeness just sinks into your brain. This is no ordinary thrash album as you can most likely tell by the usage of Salvador Dali's 'Soft Construction with Boiled Beans (Premonitions of Civil War)' as an album cover. This is a crazy avant-garde technical thrash metal album with a big smorgasbord of musical styles combined, and probably one of the most unique albums I've ever heard. While this is an album that needs a few listens to fully understand, the opening track 'Third Eye' is an instant gem. I fell in love with this song the first time I heard it, the fast-paced drum beats and the grooving stomp of the guitars opens this song perfectly. Once Brent Oberlin's vocals come in, it fits perfectly with the crunching guitar and just sends chills down my spine. Easily my favorite on the album. Overall, this will most likely be one of the weirdest albums you'll ever hear. It may take a few listens to really enjoy it, but I highly recommend this album to anyone wanting something weird, avant-garde, and unique. If you like thrash metal, groove metal, industrial metal, or anything avant-garde, this has elements of all of those. 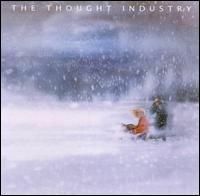 Back in the 90s i was eagerly awaiting the release of a new THOUGHT INDUSTRY album after falling in love with their first two whacked out takes on progressive metal. I knew they wouldn't simply repeat their sounds of the previous albums but when I finally got this and put it on I was extremely disappointed. They tamed their sound so much they sounded like an average alternative rock band with progressive leanings. This is pretty much when I wrote them off and moved on. After listening to this many years later, I have to say that this album isn't as bad as I remember, however it is still falls way short of winning me over like their first two albums. 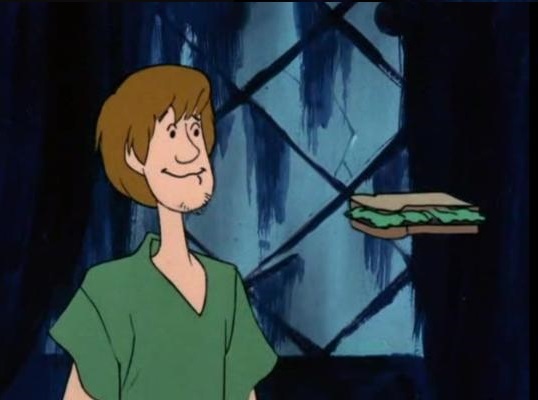 The titles live up to the surreal Thought Industry standards but that is where the similarities from previous works end. While songs like "Jeb and the Haymaker" have some interesting sounds, most of the tracks are a little underwhelming for my standards of this band. For me this is a hit and miss assortment. For those who thought the first two albums were just a little too wild, they might be more into this than I am. 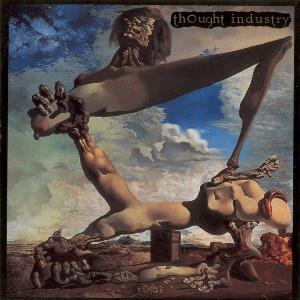 Whereas their first album was more of a philosophical affair, this second release by THOUGHT INDUSTRY firmly falls into the surreal camp matching the Dali cover art in strangeness. However, political, philosophical and personal references are common. Still firmly rooted in some kind of punkish progressive thrash metal, the experiments are more daring and in your face this time around. I am very happy to say though that they are a smashing success. This is another grower. One thing I love about this band is no two albums sound the same. They were having none of the stagnation that so many other bands get trapped into. The roller coaster ride begins with the aggressive "Horsepowered" and takes us through a variety of sounds including occasional acoustic and slide guitars and keyboards up to the instrumental proggy metal closer "To Build A Better Bulldozer." An amazingly successful followup to SONGS FOR INSECTS. 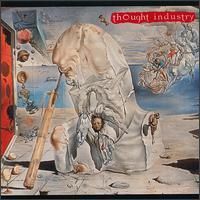 Unfortunately the two first albums would be the only two Thought Industry albums with the same lineup and the most experimental before going in another direction and taming their sound for the following albums. Very unique and highly recommended. First of all, I must say that this didn't start out as a masterpiece when I first heard it 20 years ago. I picked up this first album by the Kalamazoo, Michigan band totally by chance not knowing a thing about it. Only intrigued by the Dali cover art, the band name, the title and the track names. Nothing else was like this then and to this day I still have not heard anything that sounds like this. Once I started listening it was a very strange form of metal indeed. I'm still not sure what this is but I guess progressive punky thrash metal would be the best description that fits but there's an avant-garde feel to the whole thing as well. Even after the first listen I wasn't sure if I liked this but there was an underlying catchiness to it that kept me listening to it over and over. After many years and many listens, SONGS FOR INSECTS has grown on me to the point where I love this album and it ranks very high on my faves list. Every song is well constructed. With interesting philosophical lyrics and progressive twists and turns, it really takes you on intriguing rides. I pretty much love everything about this including the vocals by frontman Brent Oberlin, which at first sound a little weak but over time I have found them perfect for the sound and it doesn't dissuade me from giving this album the highest of praise. Being a patron of Progarchives for about a year and a half, I've constantly read and looked at the various reviews published here, constantly discovering works of artists I have never heard of and reconsidering works of artists that I have listened to for years. I feel like now it is time for me to contribute to the sprawling collections of words and opinions that grace most of the albums good enough to be called 'progressive' When I decided on what I wanted to review first, I did not want to choose an obvious staple as I feel it would pale to and get lost within the already abundant amount of reviews already written. It had to be about an album that I was very passionate about but I also wanted to progress the site further by adding to an album that has thus been ignored. So without further ado, I present to you Thought Industry and the fantastic debut album "Songs for Insects". "Songs for Insects" is one of the most abstract, intelligent, and heavy pieces of progressive metal I have ever had the joy of listening to. The small Kalamazoo-based Thought Industry sure hit the mark and all the right notes when constructing this masterpiece. Once in a while, you'll find an album that you love where every song is put in the right place, perfectly balanced, and cannot be skipped over. This is the definition of an 'album' as opposed to a collection of songs of a similar theme put together. Yet each song completely stands on its own as quality progressive metal with tinges of avant-garde to spice things up every now and then. Starting from a musical standpoint, you can tell that these are 4 musicians who understand not only how to play their instruments, but also how their instruments play together and into each other. Vocally, I find a strong connection from singer Brent Oberlin to Fates Warning singer John Arch in the way they weave lyrics together and pronounce words in such a way that, although unorthodox,they tend to flow with the music itself. Oberlin can switch from a sing-songy croon to a effect-distorted scream, depending on the desired mood of the verse, making it more interesting as you can never tell when one will occur at a given point. And, ever more impressively, he performs this all while playing bass, and oh what a bass he plays ladies and gentlemen. Guitarists Paul Enzio and Christopher Lee sure do their own part in adding to the technical wizardry and they take turns creating zig-zaging solos, that in all of the chaos and time changes, seem perfectly fit within their rhythms and are not extraneous in any way whatsoever. And how can I forget Dustin Donaldson, who effortlessly dances in these jazz and classical rhythms, every now and then adding his own subtle finishes, where need be. When taken all together, the music speaks for itself in its complexity, emotion, and, d*%^ it all, its catchiness. Even with the extreme direction that some songs can progress into, I can't help but finding myself whistling to these tunes from time to time. On the other side of the coin lies the lyrical aspect of Thought Industry which only adds to the wonder of "Songs for Insects". From just one glance at the lyrics of the liner notes, it is amazing to see how much information these guys can pack into one song. From ramblings about Mao Zedong and Tianamen Square to God-wondering references about philosophers such as Anselm, Pascal, and Mackie to simply perplexing rants about subjects I can't even begin to decipher. It is surely text that you can just sit down and try to analyze and have fun coming up with your own conclusions to, an aspect of lyric composition that I definitely find much joy in. Now I personally left out any specific mention of songs in the review as I have discovered, through personal experience. that a review constantly rating and describing the songs can sometimes leave me with an expectation, and might degrade my personal listening and feeling. With this in mind, I leave my readers who have not discovered this magnificent album, to expand their palate and hopefully find the same reverence and feeling I have found from "Songs for Insects". I mean, isn't that the point of music? To experience an emotional state of unique awe and wonder that can only be achieved from that piece, and to deliver that same state to others. And I hope I have accomplished that today.